We want to hear your great ideas. We’ll work with you to consider how to meet your funding needs. The Otsego Community Foundation is always looking for effective program and project ideas that can improve life in Otsego County. Our Grants support a wide range of projects and organizations. As our potential partner, you simply need to read the guidelines and then, if you think there is a potential fit, please call and talk to us. 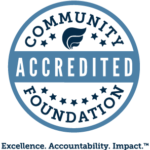 There are many scholarships available through the Community Foundation, thanks to generous donors who care about the future of our region and its young people. The Otsego Community Foundation’s scholarship program connects funds from the forward-thinking donors to deserving local students pursuing further education.